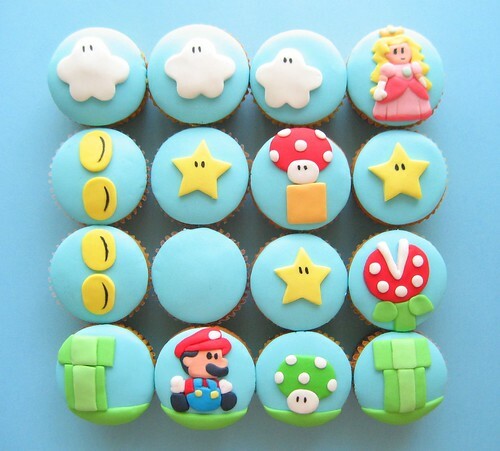 Check out these super cute Super Mario cupcakes. They make my mouth water and my fingers itch for video games. 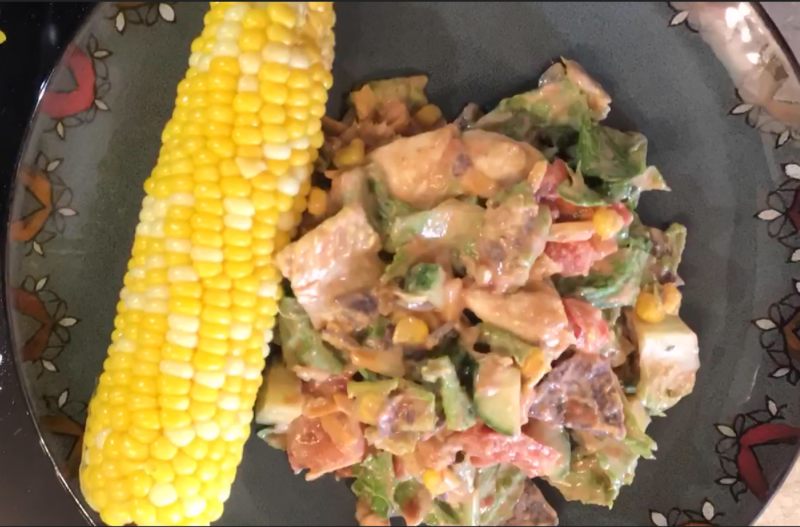 What do you call the mix of leftovers combined to make one last plate before as you’re cleaning out the fridge? AskMefi has the answers. 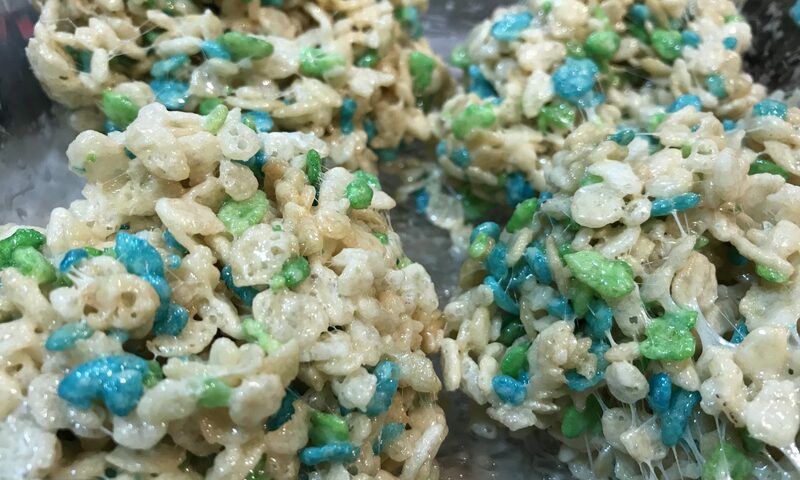 I sure wish I had come up with this idea myself, because it makes my mouth water just thinking about it. 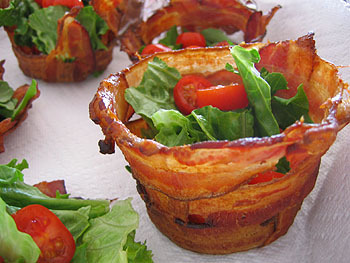 Bacon cups (with step-by-step instructions). Also bacon related and VERY funny, Jim Gaffigan on the tastiest food in the world. 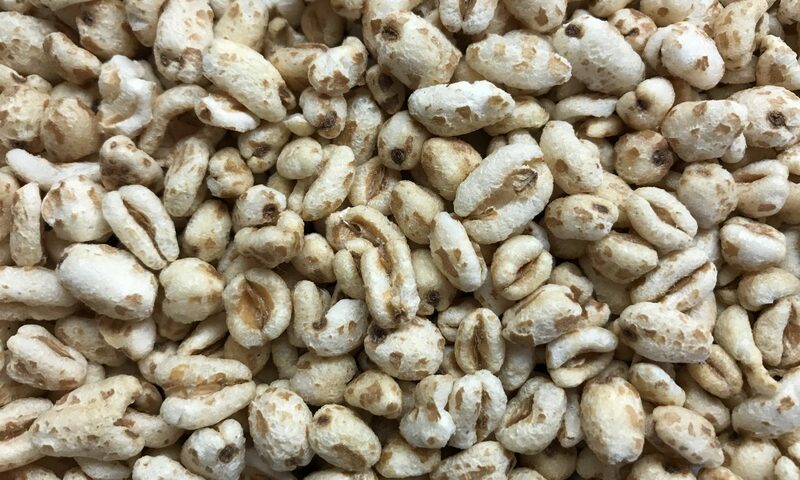 It’s usually a good thing when someone says they just can’t eat another bite. That is, when you assume it’s because they’re full—not when you accidentally added 6 times too much salt. I’m going out for brunch lunch. 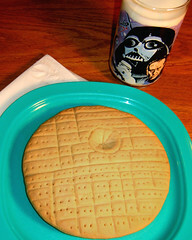 Todd Franklin of Neato Coolville has posted the recipe to make your very ownÂ Death Star cookie from his 30 year old copy ofÂ Darth Vaderâ€™s Activity Book.